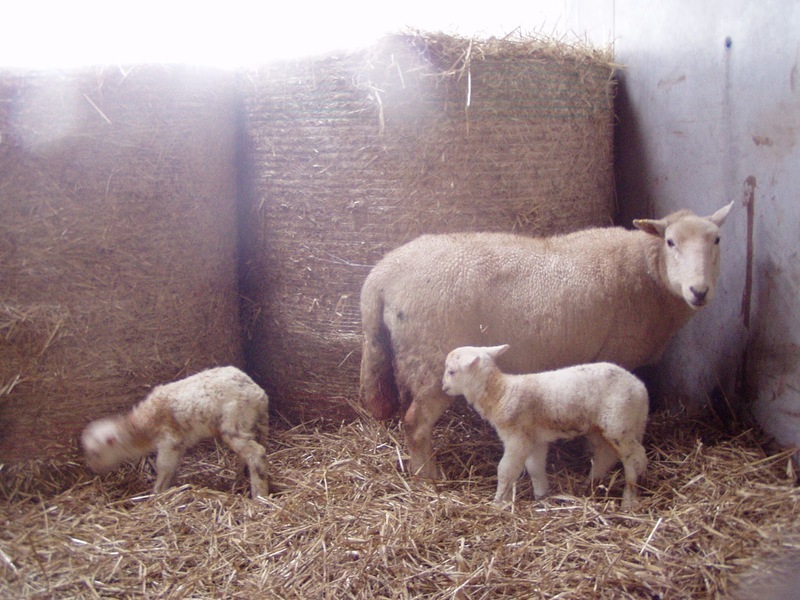 These are our first arrivals for 2012, twin lambs born yesterday..and another set of twins has come since. We sold most of our flock last year, so we only have 40 old girls due to lamb this year, and most of them will at least have twins, maybe some trips among them too, but being scanned so late made it hard to decipher. Our sheep are a unusual breed in that they shed their own fleece so therefore no need to shear....although the yarny lovers among you might be horrified at this idea, shearing is an expensive job with little return, wool production takes the nutrients to the wool not to the ewe's milk, and our ewes don't suffer with some of the horrible problems that woolly sheep do. I love to see the lambs, this particular breed has thrifty lambs which stand very quickly to feed, and grow fast.....they will soon enough be out, running around the field worrying their frantic mums! 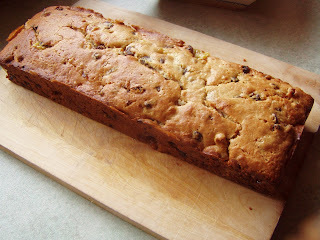 I have done loads of cooking and baking this week as we have had lots of family gatherings....I find the whole process of baking sooooo good for the soul.....the aroma of the above cake and a batch of blondies is filling our kitchen as I type......yummy! I've finally sent off my squares for Stocki's Beautiful Bloggers Blanket. Anyway, I have thoroughly enjoyed my taking part in the Reason's to be Cheerful each week....much thanks to Planet Penny for hosting it each week and bringing such cheeriness to our wintery days. Please do know that I will continue to be cheerful! I love the baby lambs and love to see them in the fields. I think when baby lambs arrive you can start thinking of spring. That cake looks delicious and there is just something about baking that is good for the soul, enjoy your family gatherings. I've always thought it would be so fun to raise sheep or alpaca, and seeing your babies gives me more motivation! 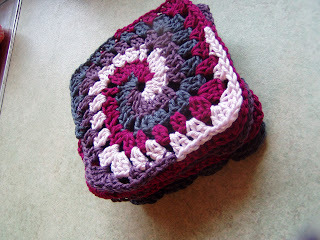 Lovely crochet squares- I love that spiral pattern. And gorgeous sheep. How lucky ewe are. Faith, such sweet little lambs. I guess it's that time of year again. 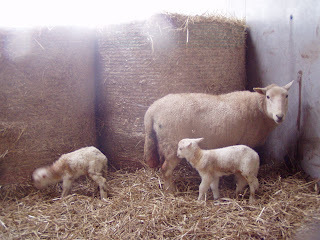 A couple of years ago we took Alice to a farm where she watched numerous lambs being born and was totally taken with it for hours! Your spiral crochet squares are gorgeous too, beautiful colour combination. I am hoping my oven will be in this weekend so I can get back to baking again, I'm desperate for home made yummies xox Have a lovely weekend! Lambs definitely equal spring, in my book - hooray! So what breed of sheep are they? That is so cool that you do not have to shear! And how is the puppy? Your baking looks awesome, particularly since the Goatmother just started Weight Watchers. :) I shall probably continue to be cheerful as well, even though not linked to Penny's wonderful site! And, last but not least, your squares are be-ootiful!!! Happy week! Gorgeous squares! The lambs are adorable. Can you gather the fleece and have it spun, or do they just shed it all over the place? Thanks for sharing your cheerfulness with us. Hope your sister's doing okay. Wow lambs, how gorgeous, I hope it's not too cold for them? I love to bake too... It is good for the soul. Love your squares, what pattern is that?